Lacking wi-fi? Well, you might not be as out of luck as you may think. Here's a guide to staying productive, accessing content, and more. There was a worrying time near the beginning of 2015, when some thought we might run out of Internet. It seems like quite an alien concept, but bear with us. When the Internet was born back in the 1980s, there were 4.3 billion addresses created, the numbers that specify a single location on the Internet and that are more commonly referred to using domain names. The system used was called the Internet Protocol v4 (IPV4). This summer, the U.S used up the very last address generated as a result of IPv4v Fortunately, its successor - IPV6 or IPng (next generation) - means there are now around 340 undecillion additional addresses. We didn’t know undecillion was a word either, but it equates to 1036 – about enough for every atom on earth to be assigned an IP address. This is of course good news, as it should be quite apparent that the Internet is pretty important to everyone right? We are more reliant on it than ever, making even the slightest power-cut or drop in connection a big deal. The fact that we now seemingly need the Internet to survive is even more apparent in the business world. Almost every company now relies on the Internet during their day to day, and for many it is more of a necessity. Banks transfer extremely large quantities of money online, stock markets would collapse without it, and you wouldn’t be able to read this fantastic blog post. We also shouldn’t forget the impact the Internet has had on productivity in the enterprise. With the ability to connect with people from all over the world; be it colleagues, clients, communities or organizations – constant communication is a major part of the modern working model. Combine with that the mobile revolution and it’s understandable why the internet is a requirement for most. So, what does happen on that fateful day your internet goes down at work, or your beloved router breaks at home? Shane and Paula both work for Company X54. They are very busy people, and their jobs require a lot of flitting from one location to the next. So, it’s vital that Shane and Paula are able to work on the move. The CTO of Company X54 has recently suggested workers should use a native app in conjunction with SharePoint for enhanced flexibility and functionality. Shane happily obliged, downloading SharePlus for mobile. Paula - a SharePoint user since 2007 – wasn’t convinced and put it off, sticking with accessing SharePoint via a mobile web browser when not on her desktop. Shane knew that constant connection at the office wasn’t a guarantee. So, he used the Per Item Sync feature in SharePlus for iOS to select particular documents that he wanted to make sure he’d be able to work on no matter what. Syncing the relevant folders, directory and files pre-emptively means despite the lack of connection, he can still get to work on what he needs to. Shane can add, edit and delete files all while offline. Paula, meanwhile, is relying on her mobile data to access SharePoint through her mobile browser. During a brief lull in the storm, the Wi-Fi does manage to come back on, and Shane is able to get the content he has been working on online almost immediately. SharePlus automatically re-syncs when reconnected to the Internet without the user having to do anything. So, even with a minimal and erratic connection, Shane can keep his fellow SharePlus colleagues notified with updates on his progress. While Paula can use mobile data to keep her online, she’s severely limited by what she can achieve in the mobile web browser. For Shane, however, there is more than just documents that he can make use of while offline. Along with his documents, he can access his calendars, tasks, pictures, contacts, custom lists, discussion boards and external lists to remain productive in all areas of SharePoint. SharePoint is perfectly suited to large organizations, but that means it stores a lot of content. SharePlus uses the global search support of SharePoint to let users query against the entirety of the platform. For Shane, he can search against his documents when he’s offline, and can do so easily using advanced filters to refine his search. To find her documents; Paula is forced into lots of scrolling, lots of pinch-zooming and lots of waiting for pages to load until she can finally find and access her documents. While Paula will be ready to protest that it was out of her power to get anything done, Shane will be safe in the knowledge he continued working despite the conditions. 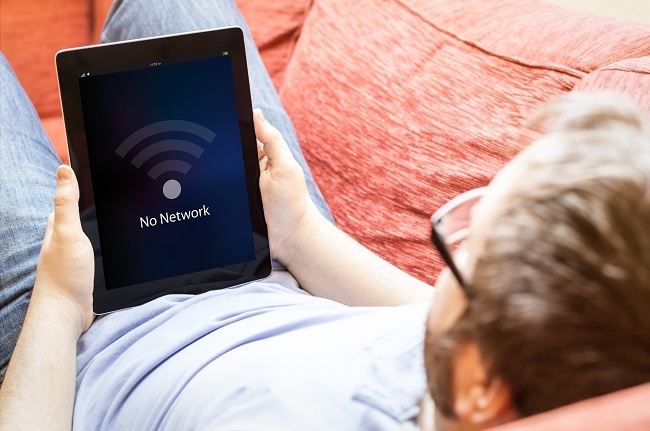 As unlikely as it may be, offline features are a fool-proof way of continuing to work when there’s no internet available: whether it’s due to a power-cut, remote location or anything else. Offline working allows for a higher level of productivity, which in today’s working environment is something you can’t afford to miss out on. With SharePlus – No Wi-Fi? No Problem.